Wladimir Klitschko has been out of the ring since he took on Anthony Joshua in April 2017 and he will be 43 on Monday, March 25. But for the last six months, there’ve been whispers that the ex champ with a 64-5 mark has that itch and wants to scratch it, with a return to live action. 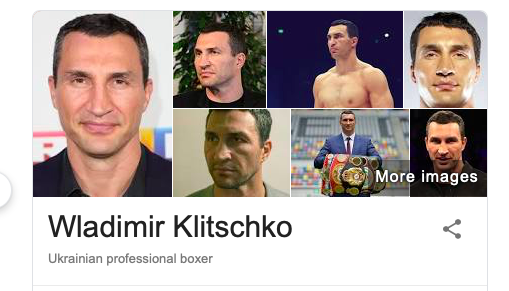 “A lot of people want to see him back in the ring…he’s just one of those brands, one of those international brands…I’d love to see him come back, but Wladimir is going to make that decision,” said Tom Loeffler, who helped promote the Brothers Klitschko during their runs in the 2000s. 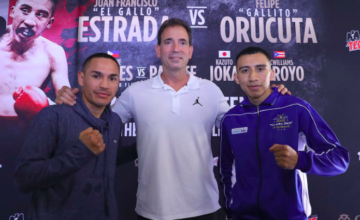 Loeffler joined Randy Gordon and Gerry Cooney on their Sirius show; Randy asked Loeffler if, big IF, Wlad would go if he came back. 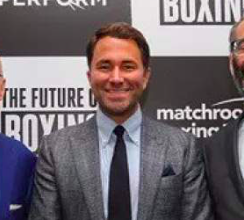 “I’d love to see him and Deontay Wilder,” said Loeffler, recalling that Wlad sparred Anthony Joshua and Deontay Wilder back in the day. 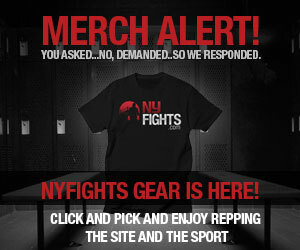 But it’s all up to Wlad, he said, though “that would be a tremendous fight,” but the decision is all Wlad’s. 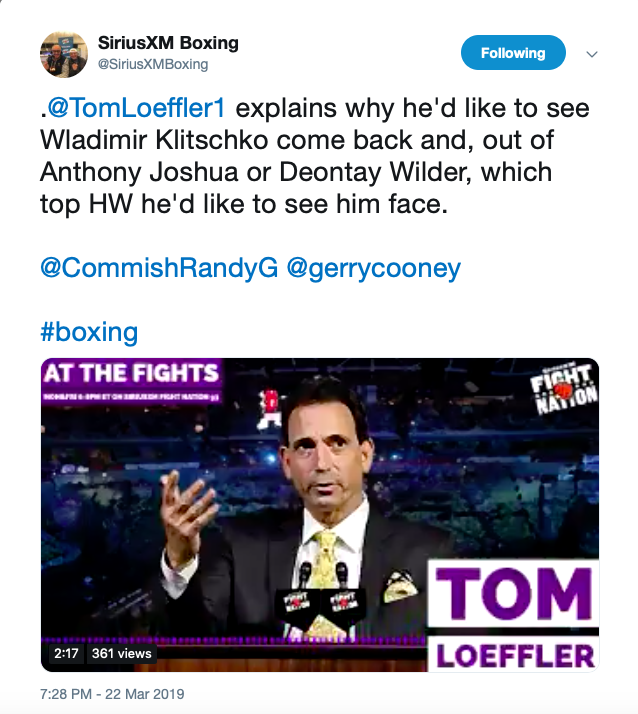 Tom Loeffler spoke to Randy Gordon and Gerry Cooney about a possible return for Wladimir Klitschko. Readers, what say you? Wlad finished up with two losses. He looked week old soda flat against Tyson Fury in dropping his titles in 2015, took 2016 off, and got stopped out in round 11 versus Joshua in a thriller at Wembley Stadium in his last live action. 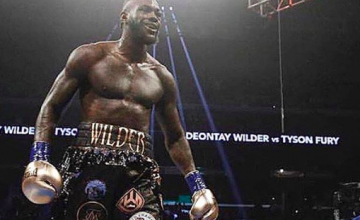 He’s be a deep underdog against AJ in a return, or a sequel with Fury and many would fear for his chin getting checked and wrecked against the rust-free Wilder. But maybe you think he has it in him, that 43 is the new 33? Listen to the Everlast boxing podcast, with George Foreman and Joe Goossen, here.